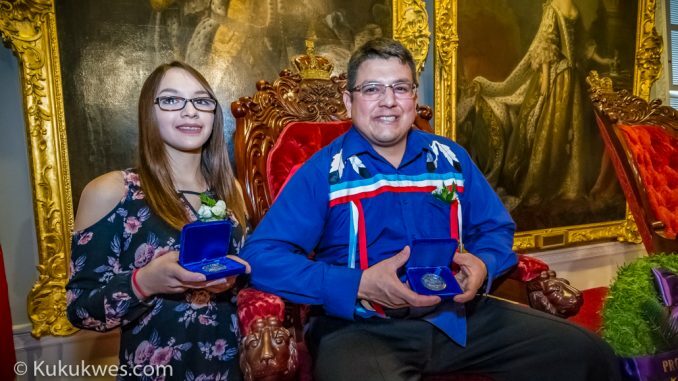 Two Mi’kmaw men from Waycobah First Nation were honoured Wednesday for risking their lives to save two tourists from a burning truck in Sept. 2016. Shane Bernard and his best friend, Liam Bernard, received the Nova Scotia Medal of Bravery during a ceremony at the Nova Scotia Legislature Wed. morning. Liam Bernard was in Alberta and unable to attend the ceremony. “I never expected to get anything like this. This is really an honour,” Shane Bernard, 38, said following the ceremony. 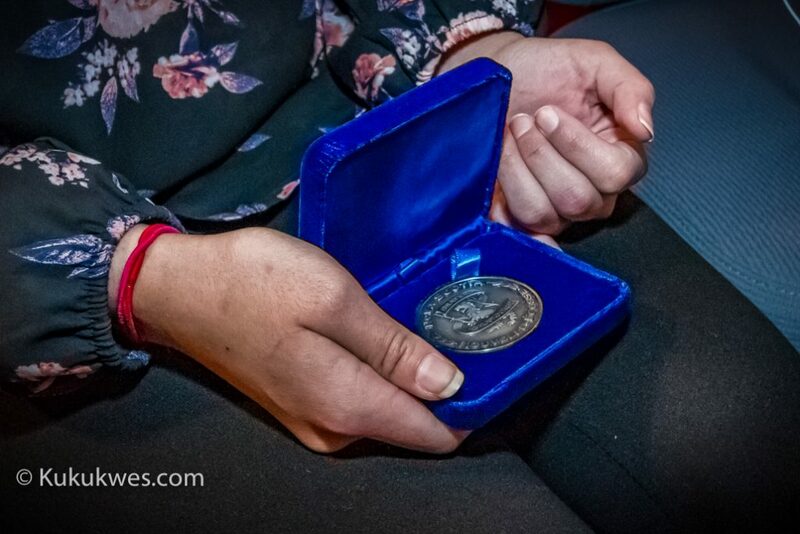 Nevada Francis, 17, accepted the medal on behalf of her father, Liam. “I’m really proud of him,” Francis said while holding her father’s medal in her hand. “I wish he was here, really. It would have been nice,” she said. 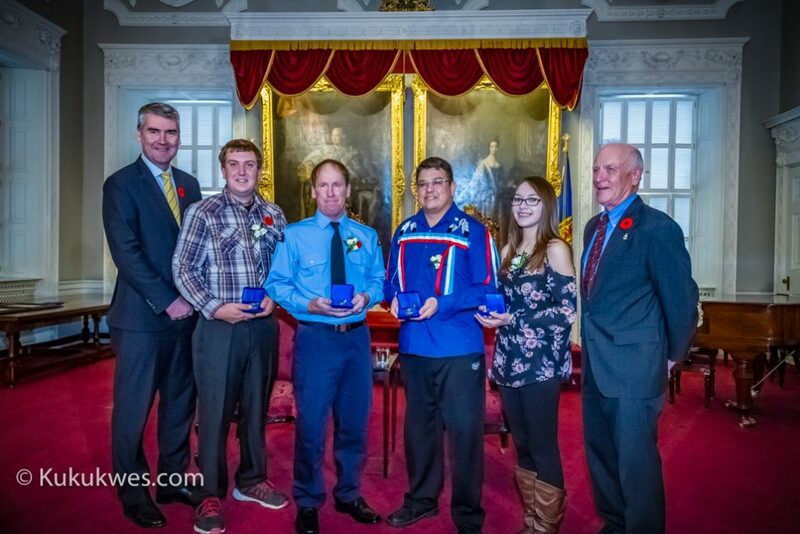 Both Shane and Liam Bernard, who are not related, were among two other Nova Scotians who received the medal of bravery on Wed. Eric Nickerson of Clark’s Harbour, N.S. received the medal for rescuing a sailor from a sinking sailboat. Travis Wolfe from Port Joli, N.S. was recognized for rescuing a neighbour from a burning house following an explosion. According to Bernard, he and Liam were on their way to Halifax to look for work that morning on Sept. 16, 2016. They were driving along Trans Canada Highway 105 near Melford, N.S. when they came upon a two-vehicle accident. Bernard described the scene as chaotic. The woman who driving the SUV was dead. There was debris on the road. People were screaming and there was a lot of smoke in the air. “We saw a truck in the ditch with two men trapped in the vehicle and smoke was coming from the hood,” Bernard said. Bernard said they managed to get the passenger out of the truck but the driver’s legs were pinned underneath the dashboard. “Liam tried getting the driver out. After a second attempt, he began choking on the smoke in there because the fire started spreading to the cab,” he recalled. Bernard said Liam jumped out of the truck and then tried to go back in when the driver tried to push him away. “He told him, ‘Everything is going to be okay. Just leave me here,’” Bernard said. Not listening to the driver’s instructions, Bernard held onto Liam’s belt to anchor him as he ripped out parts of the dashboard and pulled the driver out of the burning truck. “It must have been pretty hot in there because I remember when I was holding the door, like, I could literally feel the hair burning on the side of my head, curling up and smelling that stink,” he said. Bernard said later, the two individuals they rescued, who are both from the United States, placed an ad in a newspaper looking for them. He said Liam responded to the ad and they have kept in touch. For Bernard, the chaotic scene from that day more than a year ago still haunts him. “The images and the scars of the scene are still pretty real in my mind, right. So, it’s kind of hard to forget,” he said. “I recognize it was a high risk situation and there’s a possibility that I may have not made it home to my family that morning,” Bernard said. “So, I’m going to take this time to enjoy it with my family and just appreciate the simple things in life,” he added. 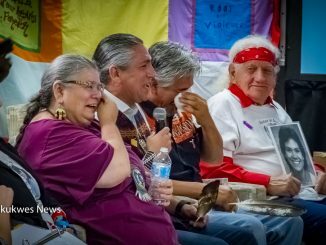 Kukukwes.com urgently needs your support in order to continue providing news coverage of Indigenous issues in Atlantic Canada. We need $1,029 more in monthly pledges/ subscriptions in order to reach our first goal of $1,500. If you enjoy our news coverage, please consider signing up for a monthly subscription. Go to Patreon.com/Kukukwes and become a monthly patron/subscriber.